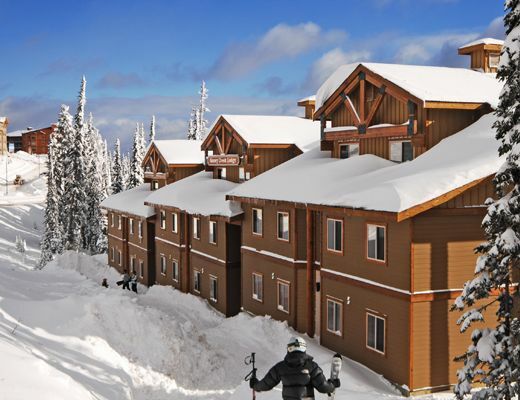 Cozy and comfortable, this lovely two bedroom condo rental, located opposite the Bullet Express Quad Chair, offers ideal lodging suitable for your upcoming Big White Resort vacation. Featuring ski-in/walk out access and a warm and welcoming atmosphere, Snowy Creek promises rest and relaxation. Impressive post and beam construction is handsomely featured, providing a sense of alpine grandeur, and is enhanced by the rustic-inspired accents seen throughout. The living room with its relaxed furnishings and stone fireplace provides a perfect backdrop for entertaining family and friends, while the fully-equipped kitchen is host to handsome cabinetry, modern appliances and a breakfast bar for informal dining. The den, two bedrooms and baths offer pleasing fittings and fixtures, allowing you to settle in with ease, while the private hot tub and equipment storage ensure comfort and convenience.